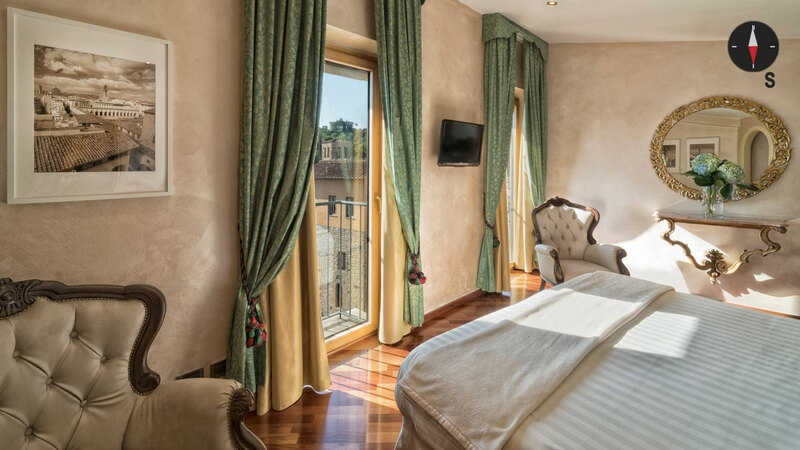 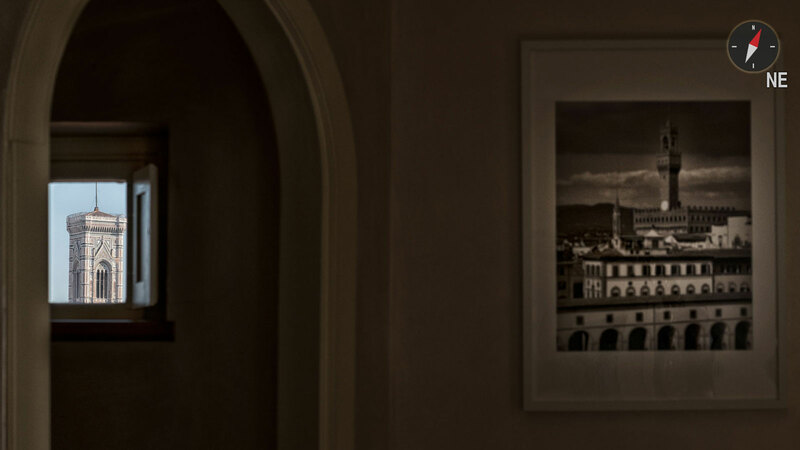 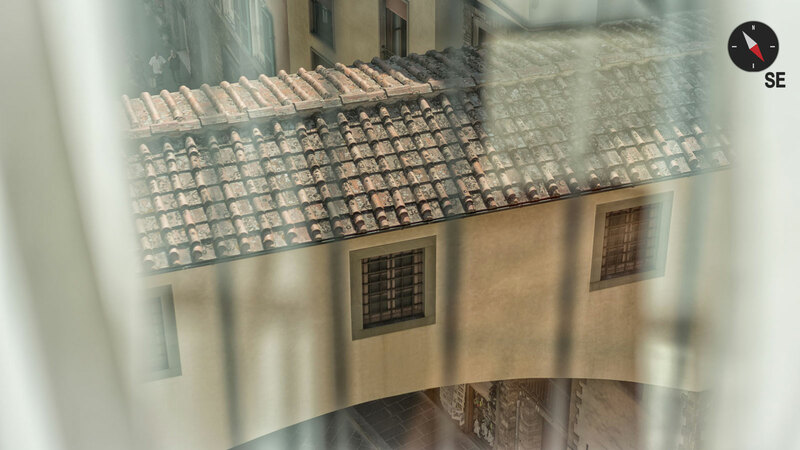 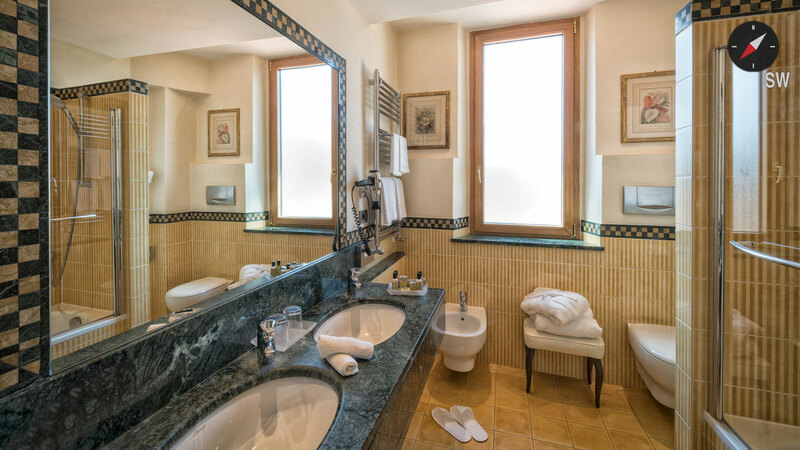 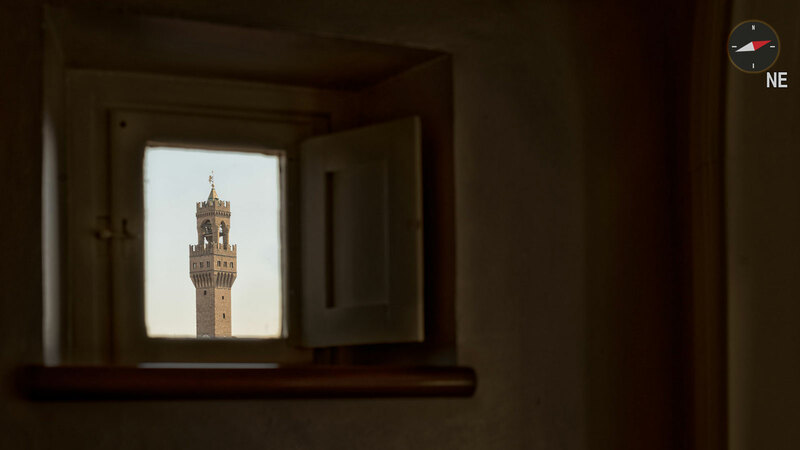 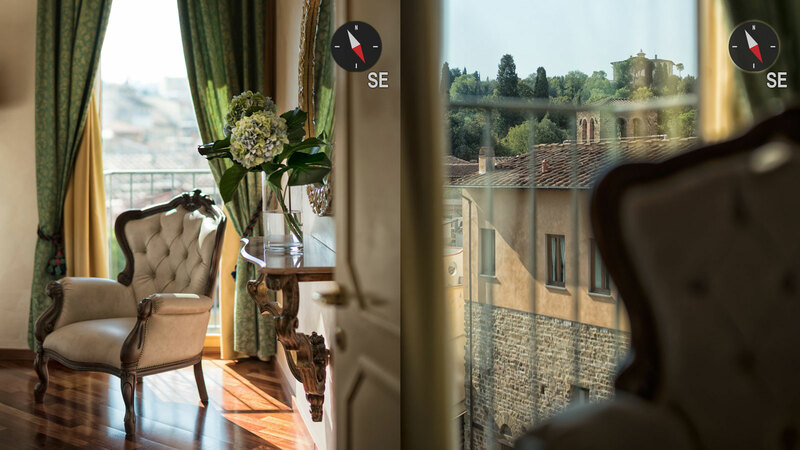 Immerse yourself in the 360° panorama of Florence. 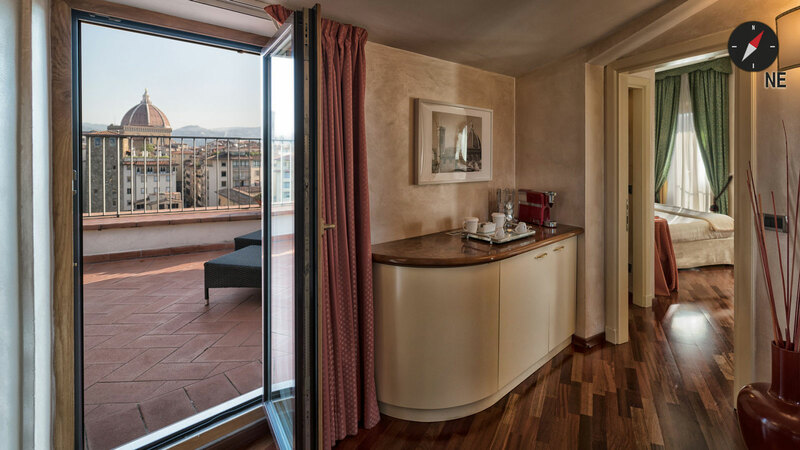 Our Suite beloved by the artists of photography for its unique and special views. 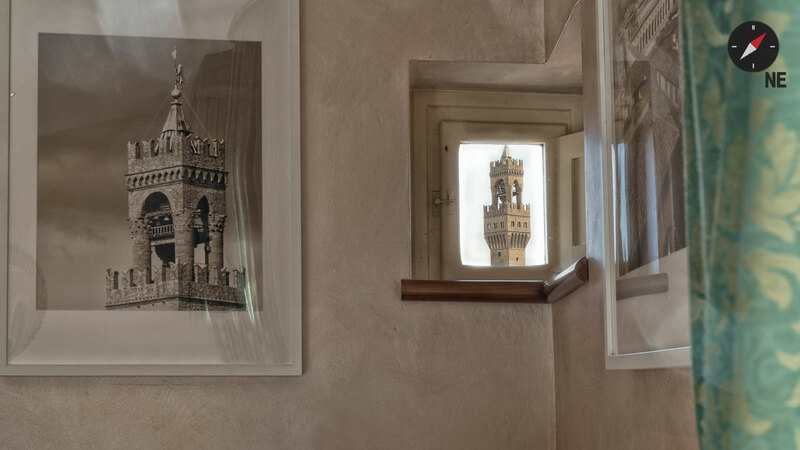 The monuments seen through the putlog holes and the unique and exclusive Wardrobe with a View. 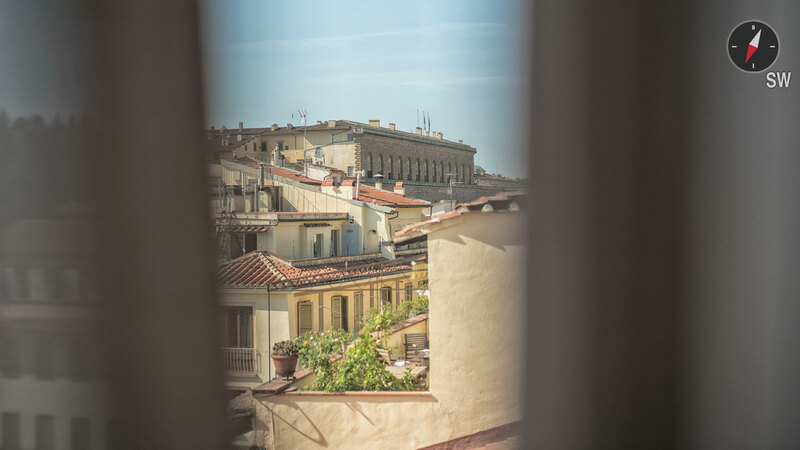 With a single look you can take in the whole city at a glance. 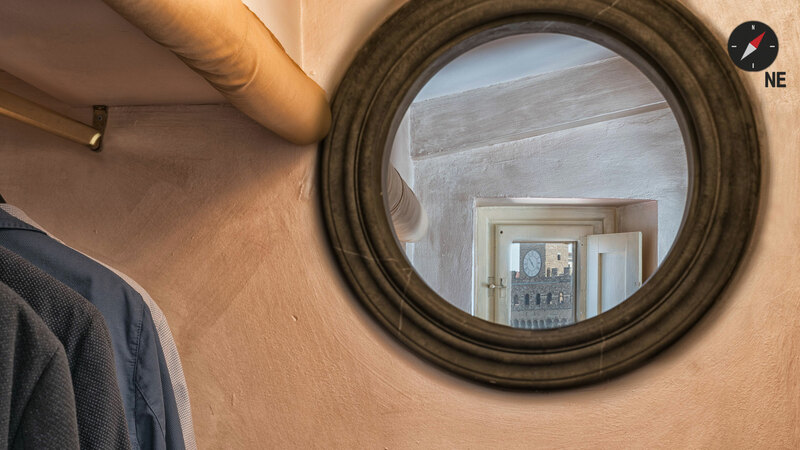 The exclusive Terrace, the Windows, the Putlog Holes and even the Wardrobe! 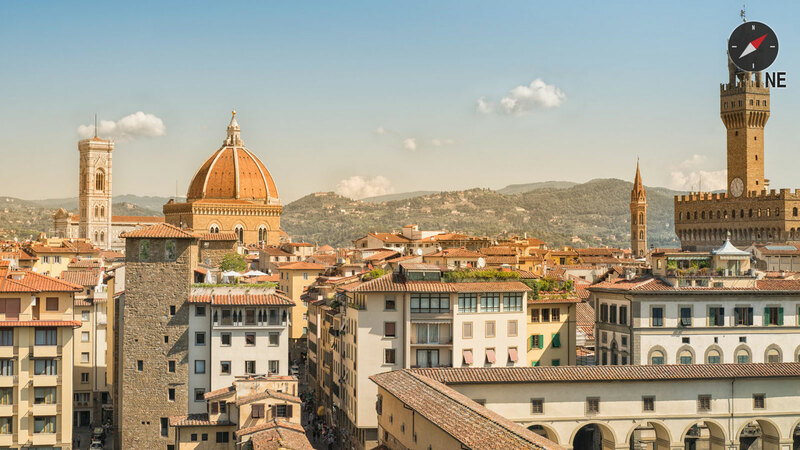 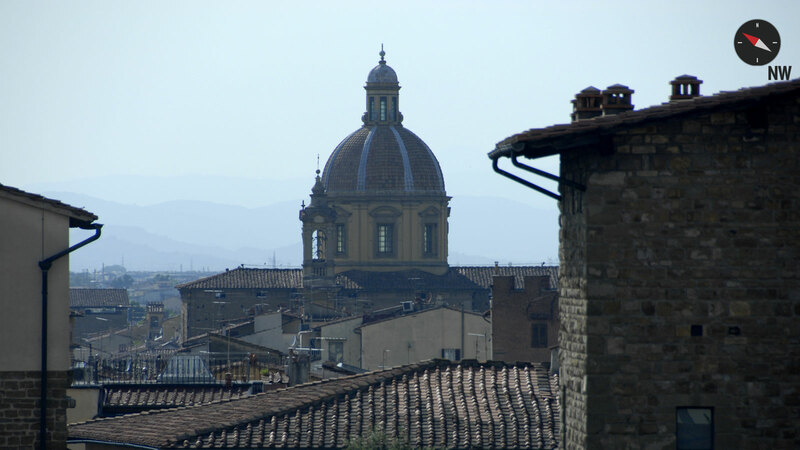 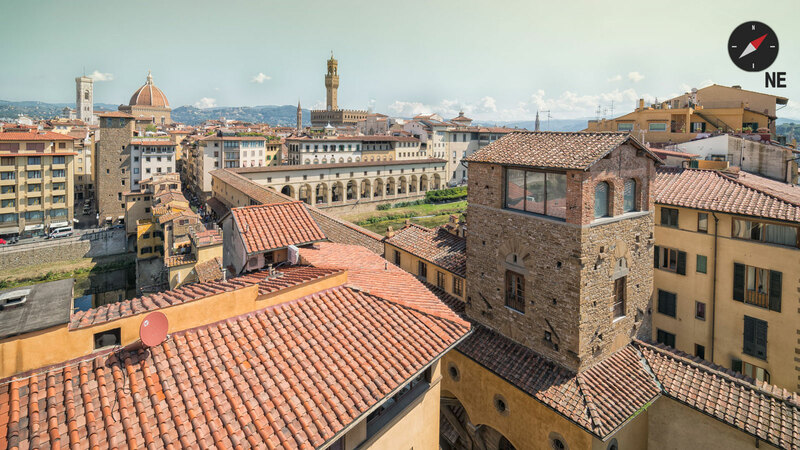 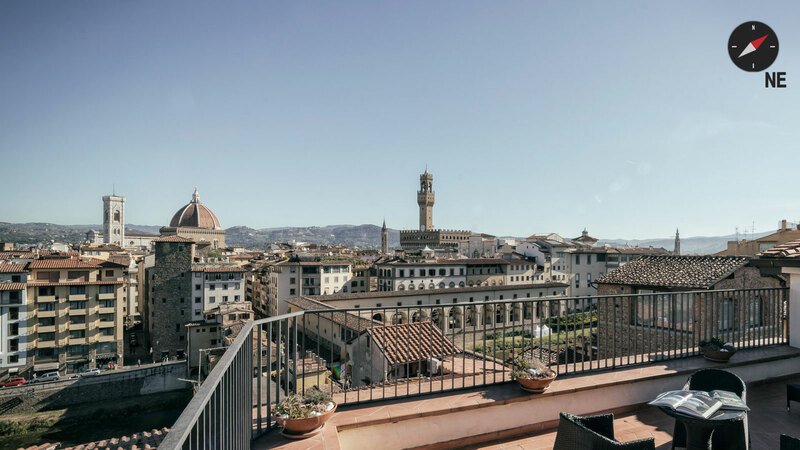 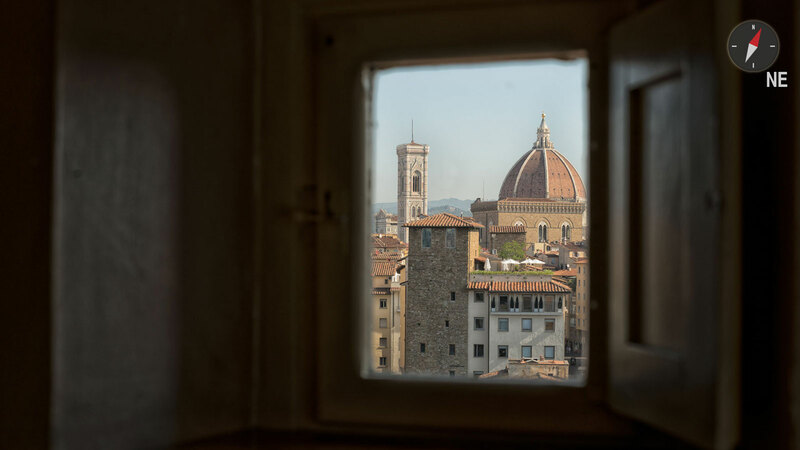 They allow you to enjoy some of the most beautiful panoramic wonders, such as the Boboli gardens, the Arno river, the Vasari corridor, the National library, Palazzo Vecchio, Brunelleschi's dome, the Fiesole hill, Mount Morello and other numberless details and peculiarities that Florence offers to his spectators.